to your local community about Chiari and syringomyelia by holding an awareness event or a walk-a-thon or join one of these. Join ASAP in bringing national awareness for Chiari and syringomyelia in 2019 by hosting a Syringo-my-What? Steps Across the States or Together We Can Walk & Roll for a Cure or Kicks & Licks Tied Together for One Cause walk. Contact Patrice Schaublin 585-747-9651 or Patrice_Schaublin@ASAP.org. for more information. Face painting, walk, live music, food, auction and raffle, For more information contact Ryan Ingle ringle@calhounplastics.com. or Deni Pate pd1pate@gmail.com. .
Two Feet, Four Paws…One Cause! Agility Course – Paw Painting – Leash Lessons – Medical Discussion – Food & Music – Raffles – Vendors – and More! The Seneca Falls Police Department will be on location taking pictures of kids/people dressed up in a uniform and inside of the police cruisers. Two Barn Farm will be back from last year with their animals and the pony/horse rides. Get involved and help raise awareness about Chiari, Syringomyelia and related disorders while raising funds for programs to benefit the Chiari and Syringomyelia Community! To make a donation, register for the event or become a sponsor visit http://ASAP.kintera.org/MOLLYSWALKNROLL or click here. Fall Foliage Ride! The ride will start at Broadway Dysarts and head north to Greenville ending at Kelly’s where there will be a breakfast buffet (#10) and full menu. Kelly’s has graciously offered a 2 night stay as a raffle. Best in Show for each car & bike. Anyone interested in sponsoring, helping or registering should contact Lisa Dunton-Roy at . Proceeds to benefit the American Syringomyelia & Chiari Alliance Project programs and research. Click here to register, become a sponsor or make a donation. Registration will start at Earlywine Park/Small Shelter at 9:00AM and walk will start at 10:30AM. What: Organized ride open to vehicles with 2,3,4 or more wheels. Two wheels, three wheels, four wheels or more, all are welcome. Raising funds for research, education and awareness. Just click on the event name above to register, make a donation, sponsor the event and more. Jessica’s 1st Annual ASAP Syringomyelia and Chiari Walk & Roll for a Cure! What time: 11:00 a.m. – 4:00 p.m.
Ziti Luncheon Cost: Adults (13 and over) $10.00, Children (5-12) $8.00. Children under 5 FREE. Click here to register, sponsor or make a donation to support this event. Edg_c_swing_fore_cure_042915 click on link to download brochure/registration form. To enter race click here or copy and paste http://www.tristateracer.com/RaceDirector/race.php?RaceID=1816 into your browser. Hoops for Hope Contest on the lawn, lots of fun and activities! After the walk enjoy ‘all you can eat’ Pizza and drink $5 per person! Please bring your lawn chairs and join us for lunch following the walk, unlimited pizza will be available for $3/person. 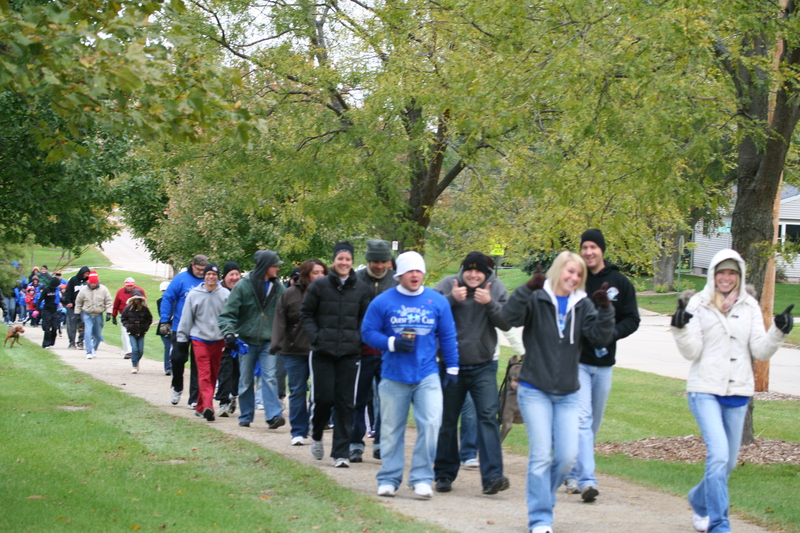 To register or make a donation, visit our walk website, click here. Meet at the Cuthbert Community Center, Azalea Hut at 105 W 5th St. Volunteer to help with this event. For more information, contact Laurie Yeh at (703) 955-6433 yeh.laurie@gmail.com or Patrice Schaublin at 585-747-9651 emailPatrice_Schaublin@ASAP.org . For more information view our Walk website.